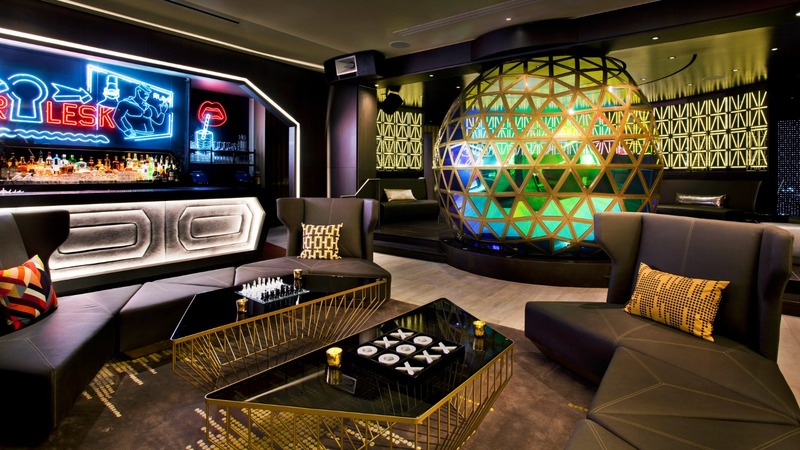 Bask in the transformation of our lobby’s iconic Living Room. 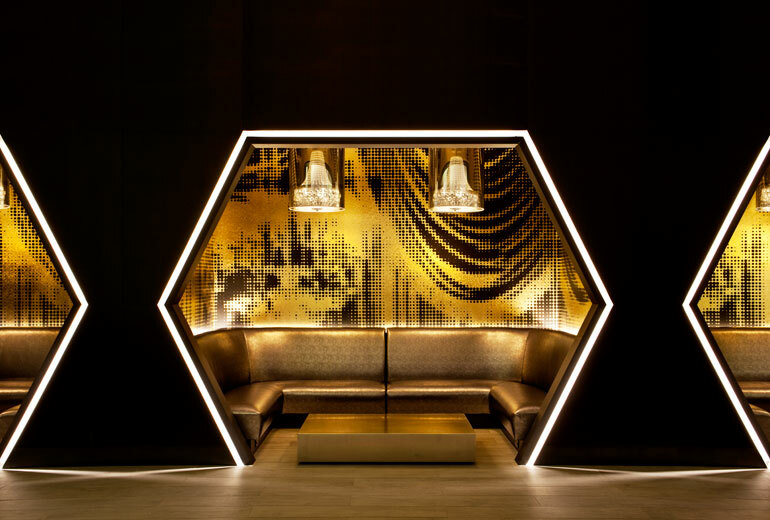 Reimagined by Josh Held Design in partnership with Starwood’s award-winning design team, this place to see and be seen is a sultry yet playful tribute to the Times Square of the past—from the gilded theaters of the 1920s and ’30s to the neon-soaked scene of the ’70s and ’80s. The heart of this venue is populated by smoked bronze glass and mirrors, antiqued brass, blackened metal, velvety fabrics, and high-gloss lacquers. Glistening chandeliers reflect light onto gold-spotted, curtain-inspired wallpaper. Peruse a refreshed menu of specialty cocktails created by the forward-thinking team at indieFORK. The Sunset Park Mule comprises Herradura Reposado tequila, spicy ginger beer, sangria tincture, fresh-pressed lime squeeze and citrus spaghetti; The Rush Hour SideCar has Remy Martin cognac, blood orange puree, pickled strawberries and house sour; and The Washington Heights Manhattan is Hudson baby bourbon, homemade habanero vermouth, grapefruit juice, black pepper, hopped grapefruit bitters and brandied cherry sprinkle and garnish.